Special Note: The issue of polio is incredibly complex. There are three things we must consider when considering all other aspects of the discussion. The first is that polio has always been rare. The second is that diagnostic definitions have changed, making statistical comparisons tricky at best. The third is that there are many causes of polio like paralysis and polio viruses are just one of those causes. To explain all that is known about polio and paralysis and to shed light on all the confusion surrounding the “polio” epidemic and what actually happened would require a couple books. Suffice it to say here, the popular mythology is incorrect. Read on to get a primer on the polio issue. See note  for more information on the rise and fall of polio in the U.S.
Before the introduction of the vaccine all cases of acute flaccid paralysis were diagnosed as polio. We now know there are a number of causes of acute flaccid paralysis and DDT is one of them. We've already shared a number of other such data in previous notes. 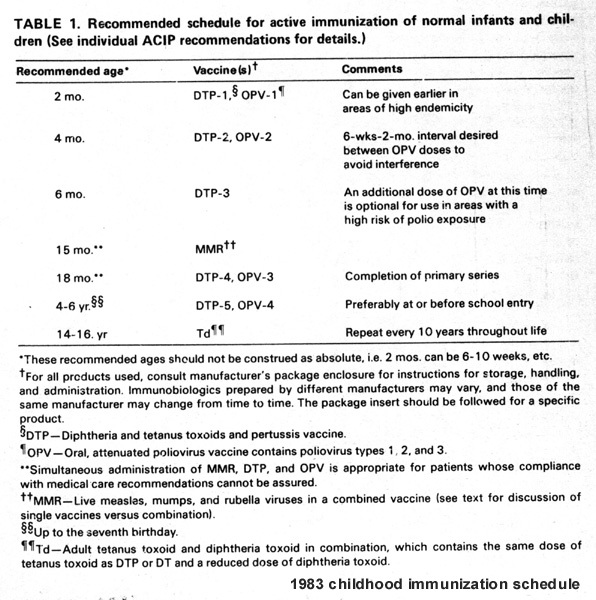 In the top left corner of the graph they mention the recent introduction of the diphtheria anti toxin. This was only used briefly as it was found to be quite deadly. It cannot therefore get credit for the decline we observe in this chart. See note  link #2 and look again at the falling then rising cases of paralytic polio following the beginning of vaccination in 1955. Consider this information in light of the redefinitions mentioned in the panel discussion. 25 British government statistics on tetanus. The main concern with rubella is that women in their first trimester may come down with the illness and pass it to their child which can lead to birth defects. This appears to be uncommon and may indeed be related more to co factors than to rubella itself. As discussed in the book, “From Immunity to Community,” the germ theory of disease is at best partial. When most people with a germ do not have the disease we cannot say the pathogen causes the disease. It may at best play a role. For example, the big rubella outbreak that led to a rash of birth defects in the U.S. in 1964-65, and the development of the vaccine in 1967 coincided with the period of thalidomide poisoning as well as the growing presence of many other toxic chemicals in our lives. How much of those birth defects was due to the virus and how much was due to the chemicals is difficult to determine but the question must be considered in any honest evaluation of the issue. If the presence of the virus alone is not sufficient to cause the condition, we must evaluate the rest of the relevant circumstances.